Soil Testing | EAT MY PLANTS! 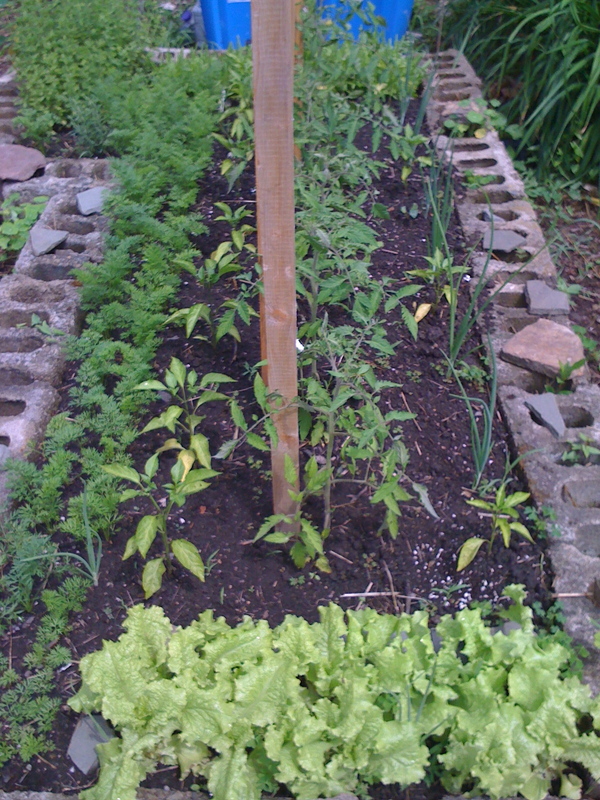 While the Lettuce looked great and was tasty as always, the rest of the bed was looking a bit weak. You may remember that in the Fall, I worked in a lot of leaves but I fear that the leaves weren’t enough. Sadly, I didn’t have any organic material to cut into the beds like I did this year. I needed to do a soil test before I could make any decisions or changes. 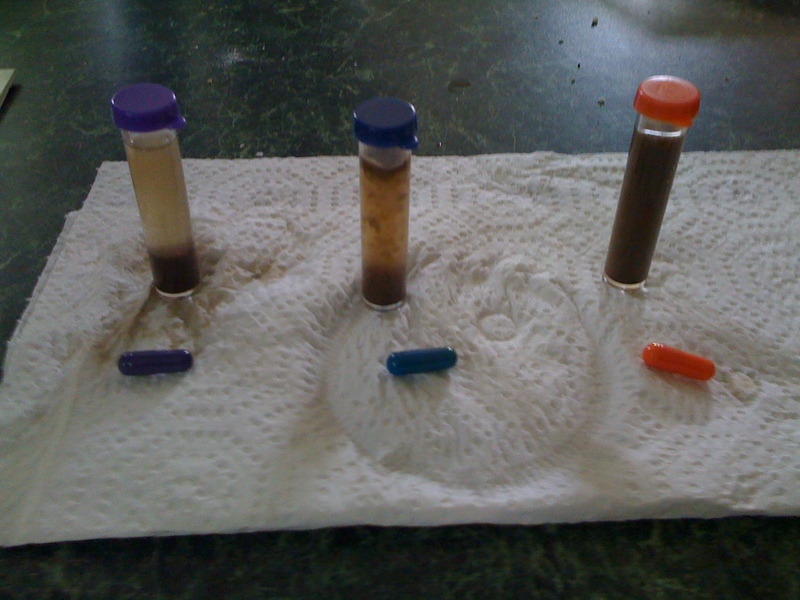 Nitrogen, Phosphate, Potash, and pH. To test your soil, it only takes a few easy steps using the typical kit you can buy at most nurseries. I tested the pH first and it came in between 6-7. So far so good. 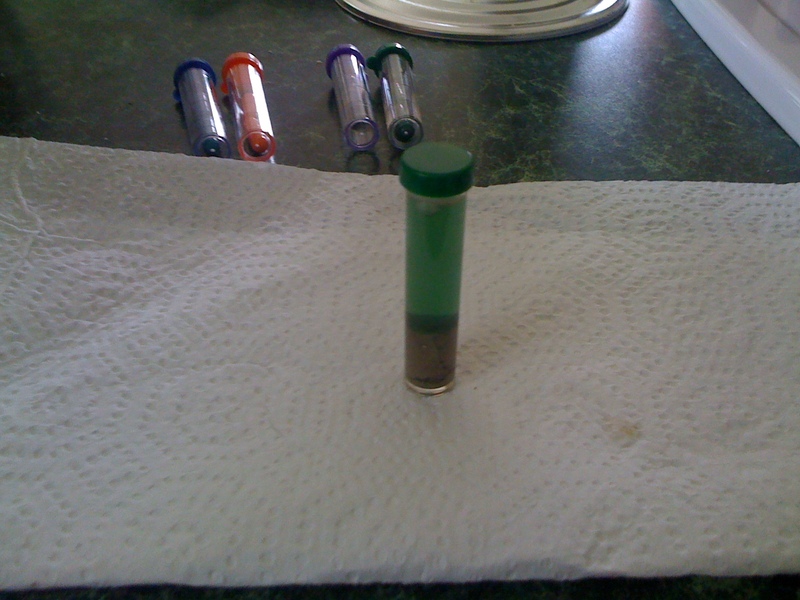 I took a soil sample from about 4″ under the surface. 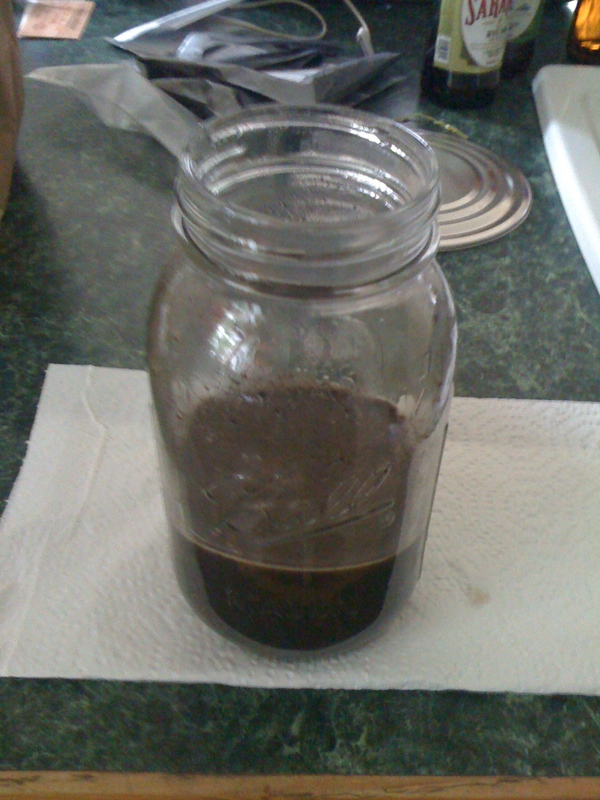 I then mixed it with 5 parts water then waited about 10 minutes for the heavy stuff to settle to the bottom. 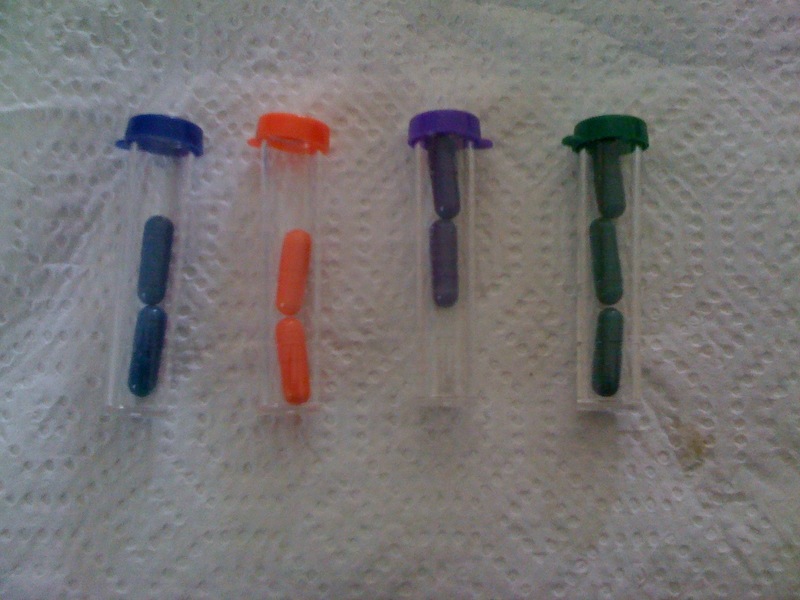 I then filled the little test tubes with the mixture and added the contents of each capsule. The Potash was fine. The Phosphate and Nitrogen, however, were almost untraceable. Could I really have almost no Nitrogen and Phosphate with how beautiful the soil looks and feels? I’d have to do another test to be certain and even then it was consistent. The beds with the Peas and Carrots, as well as the long row of Kale, are doing fine. They were newer beds and I prepared them last season a little differently since they were new. Here you can see how well my Snow Peas are doing. My friend, Dave, is 5’7″. 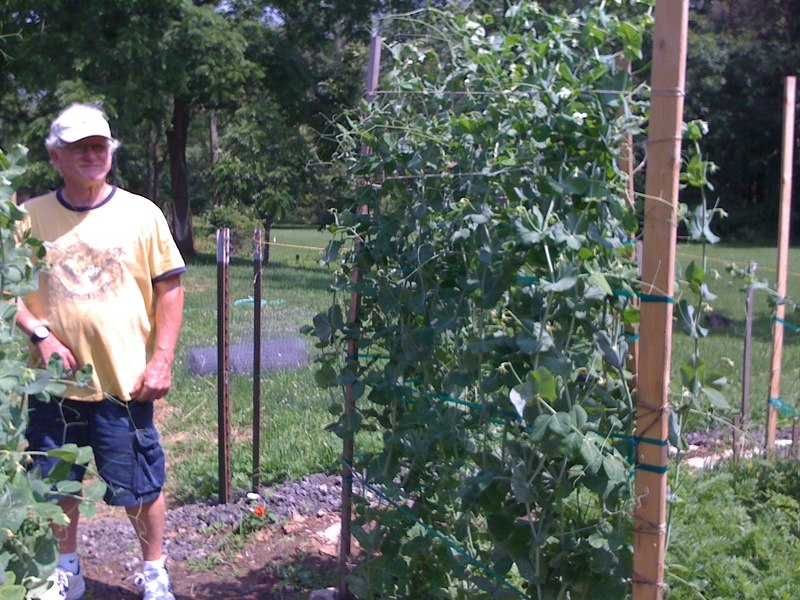 The Snow Peas are a bit taller than that. They produce daily. My freezer is filling up. I made the trip to the local garden supply and got some fixin’s for my nutrient deficient beds. Already everything is looking really nice and healthy. Today I took some iPhone video to give a tour as my first video blog post. I’ll do some quick edits early next week and get something up soon after.